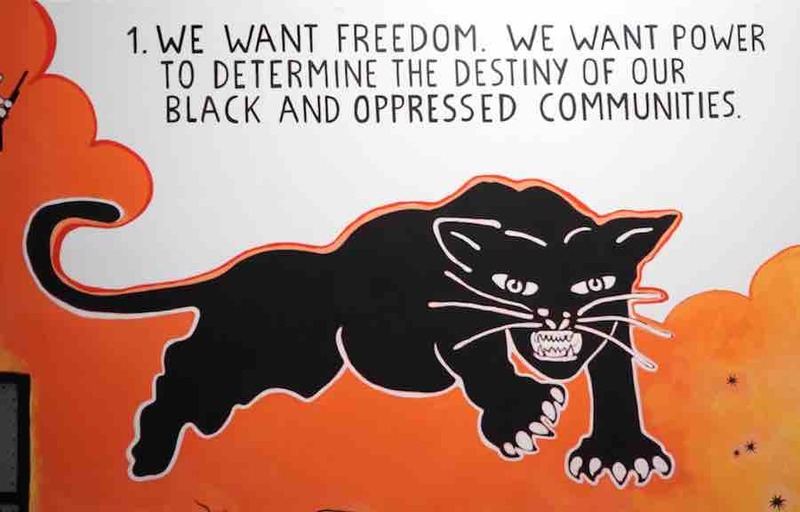 Laveronica Arte Contemporanea on its tenth anniversary explores and celebrates the revolutionary art of Emory Douglas, integral part of the Black Panther Party with the exhibition ‘Freedom Is A Constant Struggle’, on view until 15th December 2017. A selection of newspaper illustrations, posters and pamphlets referring to the concepts of empowerment, the fight against poverty, discrimination, imperialism, immigration policy. ATP: The gallery name come from ’Veronica’, a colloquial portmanteau of the Latin word ‘vera’, meaning ‘truth’, and Greek icon (eikon), meaning ‘image’; the Veil of Veronica has been therefore regarded in medieval times as ‘the true image’, and the truthful representation of Jesus. How the gallery name is connected with the kind of art you represent? The name of the gallery was chosen firstly because was directly evocative to the image and secondly because of Corrado’s initial passion for figurative painting.  Our program, eventhough now it’s more complex and different from the beginning, it continues to be very distant from the kind of researches purely formal and our interest for the human condition pass through the analysis and the critique of the images. 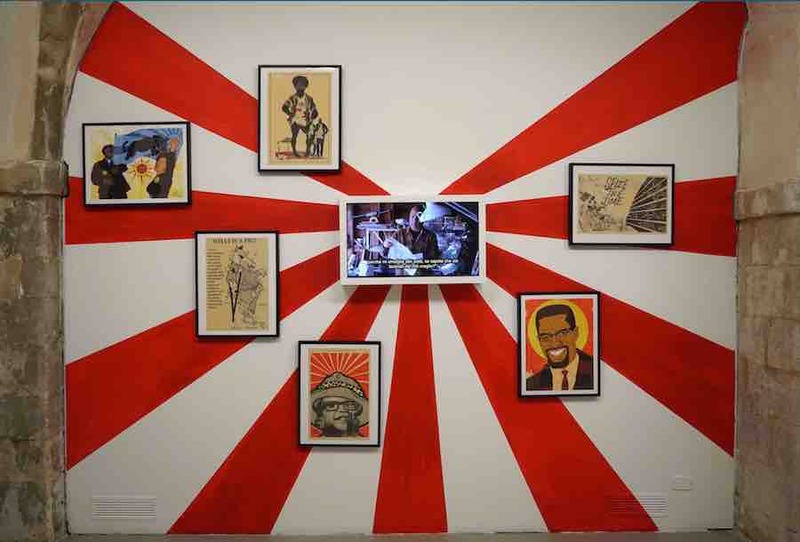 ATP: How this collaboration with Emory Douglas come up and how it evolved into the organisation of his solo exhibition? It all started in Utrecht during our participation at the New World Summit 2016, a political organization founded by our artist Jonas Staal. He was there as the representative of the Black Panther’s movement. We met him there and we stayed in contact; then one year later Sveva had the chance to go to States and contacted him and asked for a studio visit where he lives in San Francisco. At the end of the studio visit she asked him if he was interested in a solo show at our gallery and he agreed immediately even though he is quite sceptical about the art market. We think that it was a challenge more for us than for him to organise an exhibition about his works given that he has no orginals but his posters can be printed countless times. Emory Douglas has always been outside the art system as we know so put him in a commercial frame has been not that easy. Most of all we wanted to keep his outisider condition trying as well to be as much communicative as possible. ATP: What is the reaction to the exhibition? It has been great. The audience has been enthusiastic about it. Everyone understood the importance of Emory in the movement and how his images and his art have been an instrument that made black people aware of their civil rights. ATP: You have planned a series of side events – like the organisation of free lunches in collaboration with the Maria SS. del Rosario, talks and conferences; moreover during the installation a communi- ty of local artists contributed to the execution of some of his murals at the gallery. An engagement which truly invest the entire town. What is the aim of this real and radical approach? 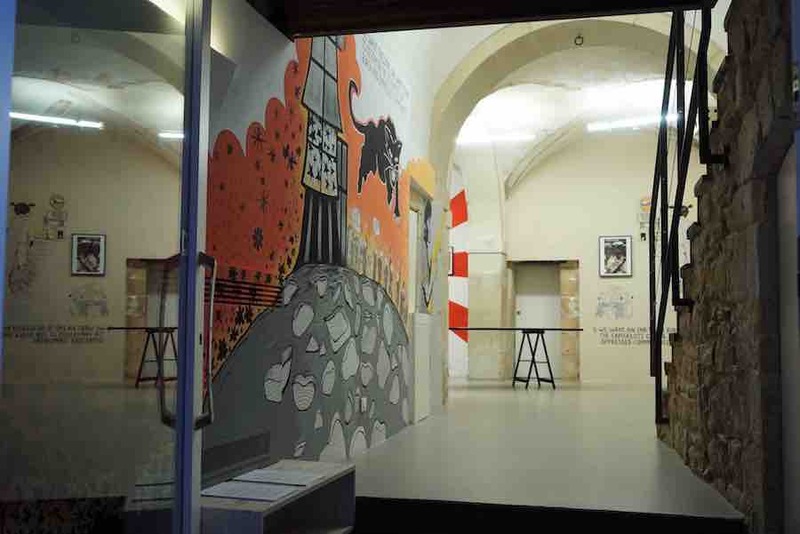 Since the beginning we thought that this exhibition, knowing that we were celebrating the 10th years of the gallery, would have been an hommage to Emory Douglas’ works, data la stima e la vicinanza che sentiamo nei suoi confronti. Consistently with his art, what has been important for us was not the final result but the process through which these people (artists and non artists) would have arrived to it. 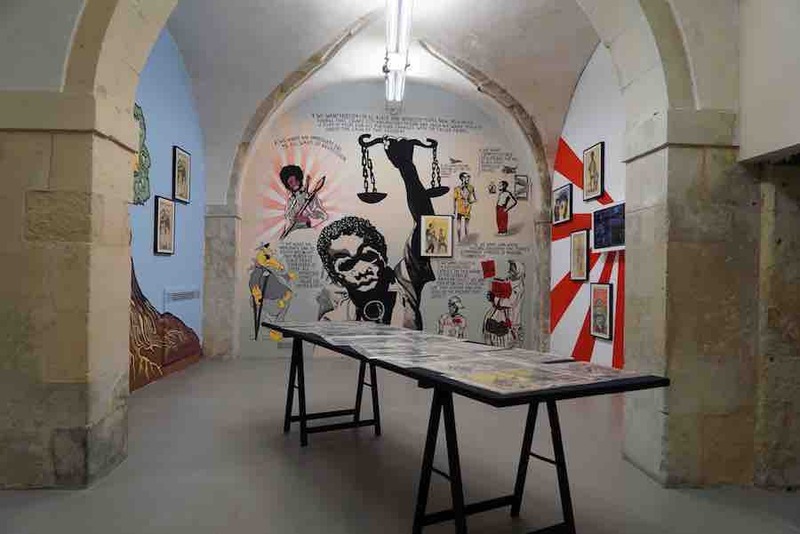 The making of the exhibition, beeing a participatory project, gave the people the awareness of the Black Panther movement, gave them a reason for their struggles. The time they dedicated to the murals represented a moment of sharing and of great patience. We spent 10 days painting the walls of the gallery and day by day something was changing, a little Okland was coming alive thanks to people collaboration and cooperation. I think these are some of Emory’s aims when he speaks about what he does with the images. ATP: What’s the next event coming up? We will have between Christmas and the New Year’s eve a solo exhibition by the swedish artist Johanna Billing that we represent since 2013. We are also thinking of the possibility of dedicating a day on her artistic practice, showing a series of her video works in a little cinema of the town. ATP: How do you see the role of your gallery today? How has it changed from ten years ago? 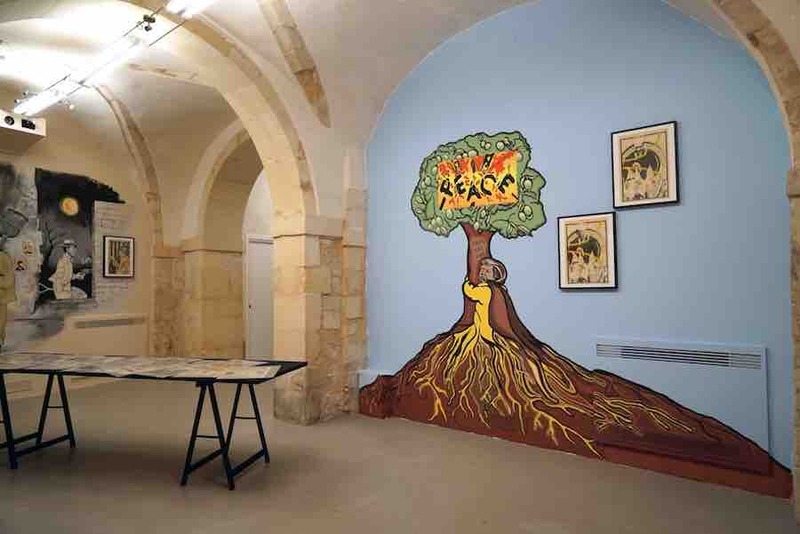 In ten years the gallery has opened its door to the local community working together with a lot of associations, local artists, theatre groups, musicians, political activists, representatives of religious minorities. All of this thanks to the projects of our artists. 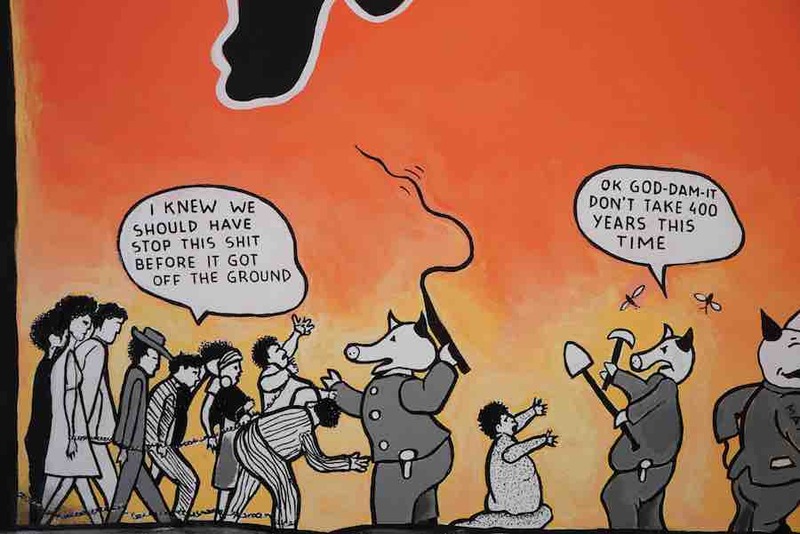 Our goal is to strenghten our social role that our gallery has shaped in our territory and in the meantime to continue to look critically at what’s happening in the world.